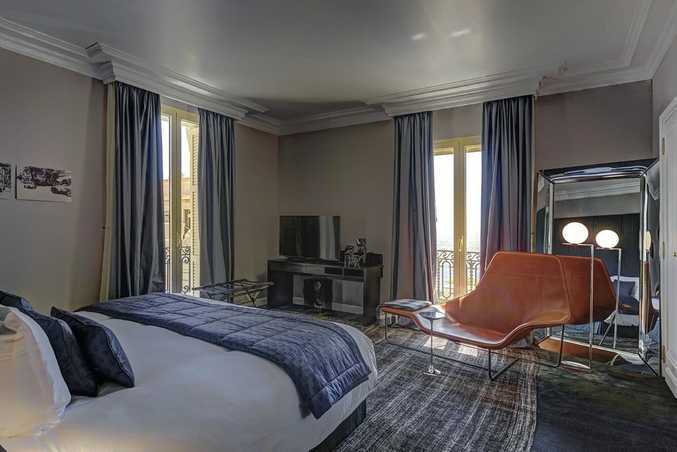 It may cost $5200 a night, but the Maserati suite at Monaco's Hotel de Paris is the ultimate overnighter for the Maserati superfan. WE CAN'T imagine many Maserati owners need to bed down in the back of their ride too often, even though the Levante SUV would make the task a tad more comfortable. Instead, why not smother yourself in Maserati luxury at one of the world's most exclusive hotels? 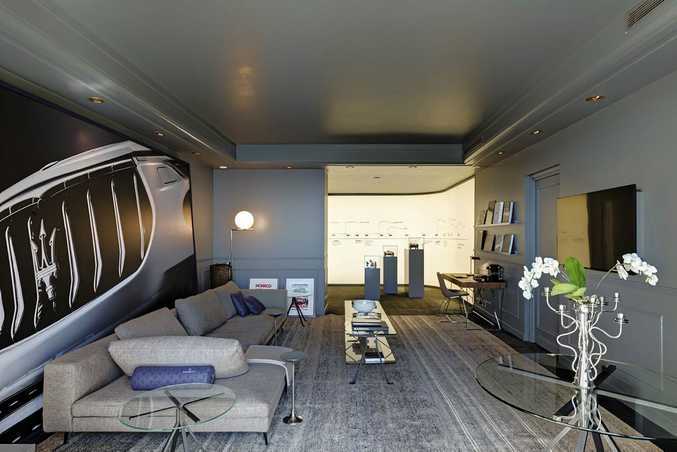 Monaco's iconic Hotel de Paris has partnered with the Italian brand to produce the Maserati Suite, with decor said to capture the essence of the luxury brand. If you're more used to your Ibis Budget hotels (do they have a Daihatsu Suite?) you may baulk at the overnight rate of 3500 euro ($5200) for the Maser room package, but as you'd imagine, it's rather swish. For starters you get Maserati airport transfers to and from Nice airport, a Maserati GranCabrio to use during your stay, a Modena-sourced cocktail buffet of dishes and Laurent Perrier champagne. Money can't buy happiness? Look, it really does. Then there's your suite. 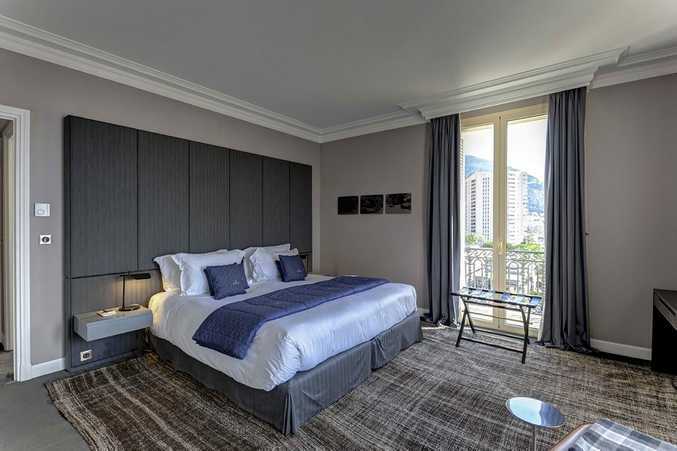 Located on the the Hotel de Paris' third floor overlooking the Mediterranean and Casino de Monte-Carlo, it features (prepare yourself) "elegant grey tones and precious metals," "absolute minimalism," "exquisite lines," and "timeless elegance". The king bed's headboard has been produced by the same company responsible for Maserati interiors, while we're told the grain leather armchairs resemble the interiors of Maserati sedans. 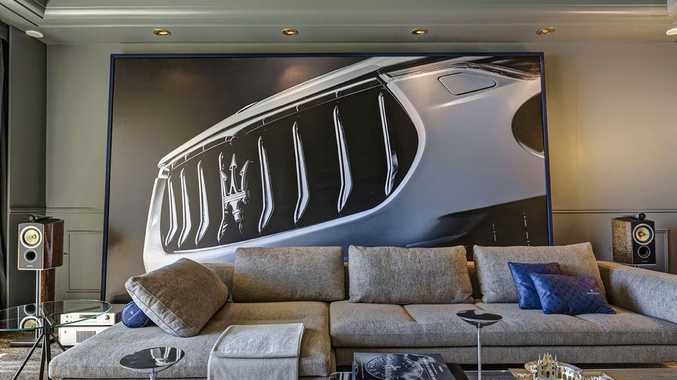 There's a bloody great big wall picture of a Maserati's grille, countless books on the marque plus heritage posters and models to go with your embossed pillows and blankets. It's one for the super fan. If you want to experience the trident-heavy room you have until September 30 before another luxury brand partners with the hotel to create the next pop-up suite. C'mon, it's only money. Maserati's first SUV lands in Sydney, and is it a bargain?